There's no doubting the competitive spirit in which Kronwall, Detroit's dynamic double-threat defenceman plays the game. His hard hits are legendary and his offensive contributions are equally impressive. In his world, there are no nights off. So, it should come as no surprise to anyone that knows Kronwall, that the Swedish blueliner gets geared up for the hockey campaign shortly after the last season ends and long before the new one starts. Once thought to be too small to survive in NHL circles – he stands 6'0” and tips the scales at 190 pounds – Kronwall has been worth his weight in gold to the Red Wings, an effective contributor at both ends of the ice. His unforgiving bodychecks have hit their mark against numerous opponents, while his ability to chip in offensively (he had 51 points in 2008-09) has made him that much more valuable. 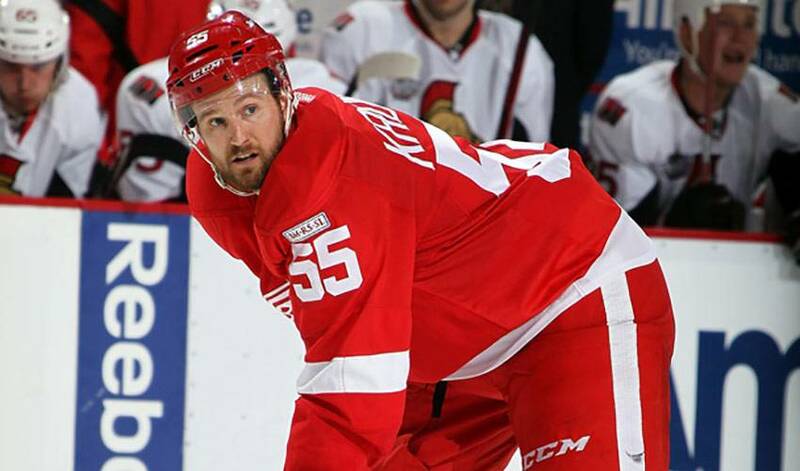 But for Kronwall, the pursuit of perfection is what drives his game. Asked to assess if he had a successful 2010-11 season, Kronwall's answer was brutally honest. What he does and does well, is provide Detroit with a number of pluses, including his growing reputation as a leader. His comfort as a veteran presence can be traced back to the days of one of hockey's most respected and revered leaders, a hockey legend in the Motor City. Kronwall, a member of the Triple Gold Club (gold medal in the World Championships, Olympics and Stanley Cup champion), would be honoured to follow in those footsteps. It's a corps that is at the top of their game when the Red Wings endure rough patches throughout the season. For Detroit's do-it-all defenceman, those thoughts of possibly winning a second Stanley Cup came well before training camp or the start of the 2011-12 regular season. Less than a month after last season, to be precise.